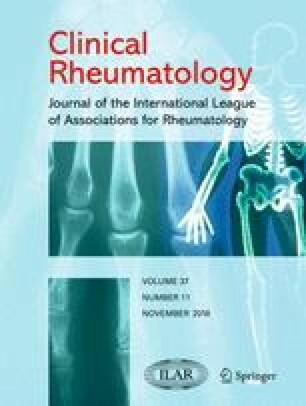 Our purpose was to determine the validity of the Central Sensitization Inventory (CSI) with psychophysical tests, psychological and physical factors in patients with Knee Osteoarthritis (KOA). Patients with KOA were recruited from three Montreal hospitals. Psychophysical tests (pressure pain threshold, conditioned pain modulation, temporal summation) were conducted and questionnaires administered to determine the presence of neuropathic pain, somatization, anxiodepressive symptoms, pain catastrophizing (PC), and widespread pain (WSP). Relations between the CSI, psychophysical tests, and questionnaires were assessed using correlations and chi-square analysis. Receiver Operating Characteristics (ROC) curves determined sensitivity and specificity scores. Multiple linear regression was performed to predict the association of CSI scores with somatization, anxiodepressive symptoms, PC, and WSP factors. One hundred thirty-three participants were assessed, 56.4% female, mean age 63.5 years. The CSI was weakly correlated with decreased pressure pain thresholds locally (rs − 0.264, p = 0.004) and remotely (rs − 0.235, p = 0.011) and with conditioned pain modulation (rs 0.187, p = 0.045). ROC curve analyses suggested an optimal CSI cut-point of 36 (Sn 75%, Sp 63.4%). Performance of the CSI used in combination with a neuropathic pain questionnaire was not significantly superior. After adjustment for covariates, a multivariable linear regression determined WSP (unstandardized ß 4.161(0.067, 8.255) p = 0.046), somatization (unstandardized ß 1.828 (1.368, 2.288) p < 0.005), and anxiodepressive symptoms (unstandardized ß 0.419 (0.107, 0.730) p = 0.009) significantly predicted CSI scores. The CSI is more strongly associated with psychological factors than psychophysical test results in a KOA population. Its moderate sensitivity and specificity suggest it should be used as part of a more comprehensive evaluative toolkit. LC received funds for the study from the International Association for Pain Early Career Investigator award and from the Quebec Rehabilitation Research Network. Ethical approval of the study was obtained from the CIUSSS de l’Est-de-l’Île-de-Montréal Research Ethics Board, Montreal, Canada, performed in accordance with the ethical standards laid down in the 1964 Declaration of Helsinki and its later amendments.